I used to go in this place as a kid when it was a Flemings supermarket. It was a pretty basic supermarket back then. They used to have the old NCR cash registers at the front. Inside I remember looking into the staff only storeroom which had no lowered false ceiling and you could still see the original ornate theatre ceiling. Probably still there! If you would like\photographs of the Paramount and Oatley Radio as theatres let me know and I can send them to you. Hi Barry…it was good to hear from you….interesting to chat with someone who shared the same experiences all those years ago. I agree the Savoy was quite ‘posh’ wasn’t it, especially with the white organ which used to disappear down under the platform as the movie commenced….those really were the good old days weren’t they…precious memories. I remember seeing a movie there with Pat Boon, I think it was Summer Holiday…not sure and don’t know why I remembered that particular movie as I saw many there over the years. Do you remember Waltons store over the road from the Civic? I used to go there with my Mum, she loved that store. Carmen, Hurstville South Public School is having its cententary soon and we,re looking at the area as it was… would love a copy of the Paramount! Thanks for this Jimi k. Sad to hear. at the back where the car park is ,the second store to the left at ground level is a very good computer store run by some chinesse guys apparently they got good prices..went there once..
My father, David James Kennedy built and owned THE PARAMOUNT theatre at South Hurstville six years before I was born in 1938. He also built the family home at the rear of the theatre when he remarried after his first wife died. He had four children, two boys and two girls, myself being the youngest. 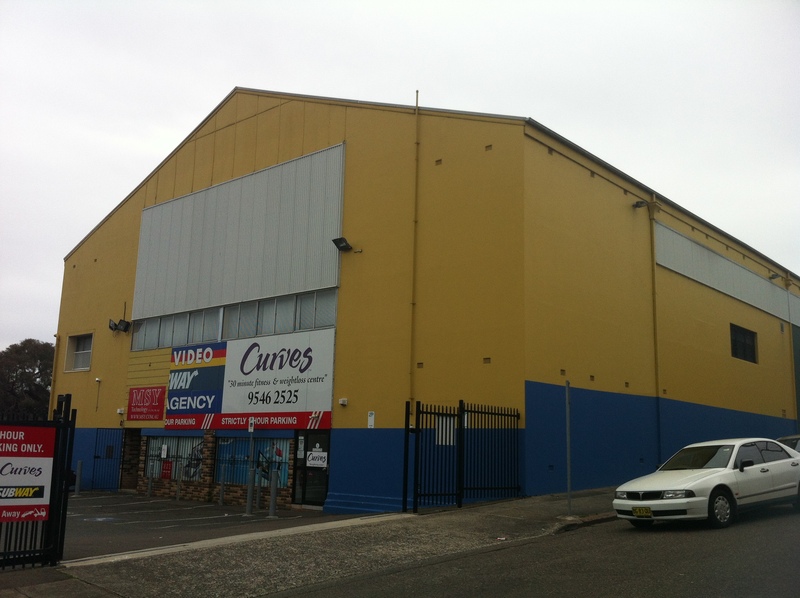 He also owned THE CHELSEA theatre at Earlwood and another two theatres at Mortdale and Camden. Hoyts bought the Paramount a short time after my father suffered a stroke and they sold it to Flemings. My father was a handsome man with pure white, thick wavy hair and blue eyes who wore a tuxedo to greet guests on the door as they entered the theatre. He would greet them all in his charismatic way, knowing most patrons by name. My mother who was thirty or so years younger than my father sat in the ticket box each movie time selling tickets in the glassed box. The milk bar across the road was owned by two sisters, one a spinster, Miss. Drinkwater. The shop next door was a general grocery which my father purchased for his only daughter from his first marriage Ellen, known as Nellie, and her husband Eddie Mc.Mahon. I recall travelling with my father to put out the posters of coming movie attractions with a large pot of glue and brush on boards during the war when petrol coupons were issued. The local Catholic convent would be given the theatre free of charge once a year by my father for their speech day and the Nuns would arrive shortly thereafter at our front door with boxed exquisitively hand embroidered doileys for my mother. I could regale you with many stories about the Paramount, some sad, some bad and some humorous but space doesn’t permit. Olwyn, you must have some fascinating stories about your father. Ellen Subway at Mortdale must be named after your aunt. 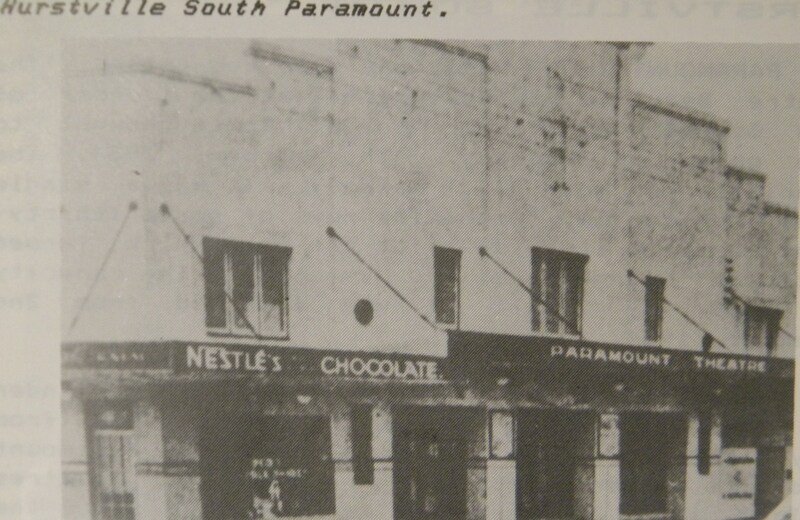 I wonder if you would have any photographs of the Paramount Theatre at Mortdale? I’m fascinated to know how you knew to contact me. I am nearly 79 years of age and lived behind the theatre in our brick family cottage in Allen Street, (which my father built) until I was twelve. I do have a small booklet somewhere here, showing many of the areas picture theatres, with photographs, including the Paramount at South Hurstville. How I came to acquire that about 15 years ago is another story in itself. I could write a book on the Paramount and its sister theatres my father owned at Mortdale, The Chelsea at Earlwood and another at Camden. There is a kaleidoscope of events, emotions, family breakdown and sadness connected to the Paramount. Briefly, my mother worked in the ticket box in the evenings and my fathers other family from his first marriage (to Ellen) were involved as well. My half sister Ellen (known as Nell) and my fathers mother was also Ellen, so there is no doubt the Ellen connection. Not an Aunt as you suggest. I would be interested to meet with you if you like, to talk about an important part of Hurstville and the St. George areas history, particularly during the war years. I live on the Central Coast. My name is Else and my grandfather was Reginald John Kennedy, married to Helen Kennedy. His father was David Kennedy and his mother was Gertrude Ellen Knight. He was involved in theatres in Sydney around this time, and it sounds as though he may be your brother or half brother (?). I would be interested to meet you if you would be open to that possibility. It seems we are related. My Father, David James Kennedy married my mother Margaret (Maggie) in the early 1930’s after the death of his first wife Gertrude, where they had lived at (from memory) 28 Hamilton Ave, Earlwood. There were three adult children Reginald, Stanley and Ellen, known as Nell or Nellie. As you state Reg was married to Helen who lived at Strathfield, Stan to Mavis who lived at Hurstville and Nell, married to Eddie Mc Mahon and they lived at Connells Point. They are my half brothers and sister. All now deceased. My mother and father had 4 children in quick succession David (now deceased) John, Margaret and myself. Another boy Peter was born when I was about 6 and he only lived for a day or so. He’s buried at Woronora cemetery. 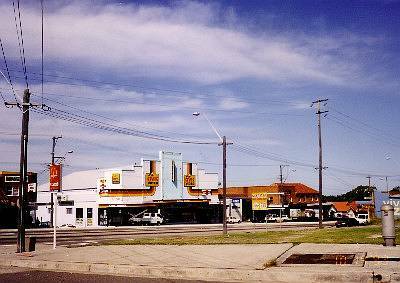 We lived at no1 Allen St, South Hurstville behind the Paramount Theatre until I was 12 and then moved to 29 Greenbank St, Hurstville. There is so much history about the family that should be told and I would be happy to talk with you at some time. I’m living on the Central Coast @ Erina. 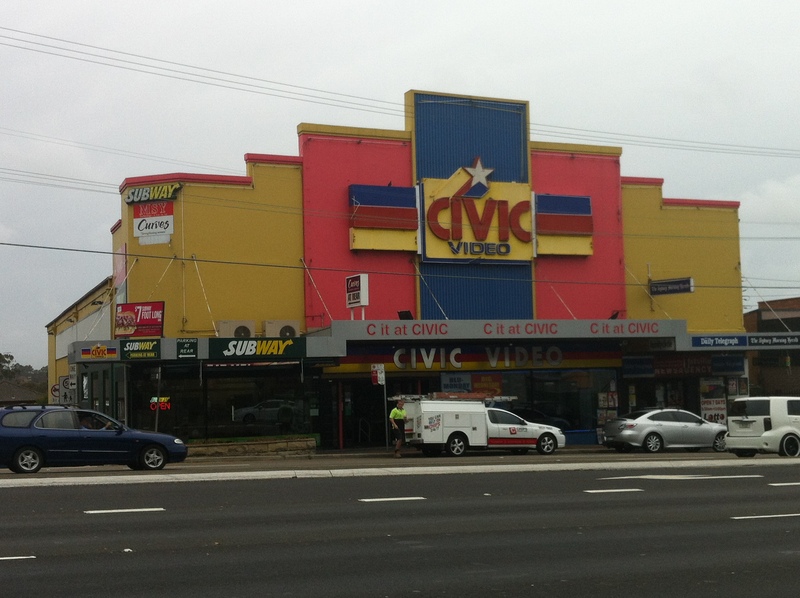 Drove past today, and it looks like Civic, Subway, and others have shut up shop. Hi Scott.the last movie i saw at the old civic theatre at hurstville on the corner of park and forest road was Elvis in love me tender 1956 ..I was sixteen….my elder brother used to go to the hotel just nearby.the white horse hotel maybe…merry Christmas to all…barry..perth western Australia..
Dear Olly, Lovely to read your recollections of the Paramount Theatre, South Hurstville. I hope it all can be written down. Best wishes, Jan Tolley. Sorry to leave a sad note, but all tenant’s (Subway, newsagent, Civic etc.) have left the building many months ago. The old ANZ Bank/Real estate agents building is part of the demolishment. It is due to be demolished to make way for a multi level apartment building (if approved). I have seen the plans on the Georges River Council website.